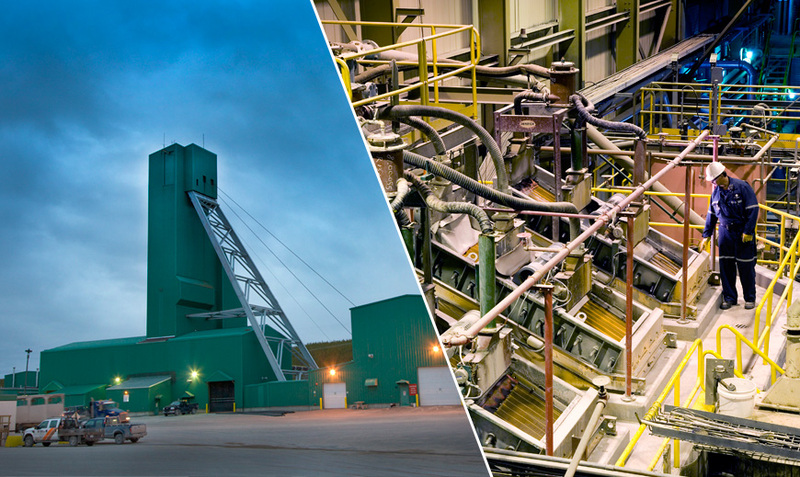 Cameco has operated mines and mills in northern Saskatchewan for more than a quarter century. Uranium products from Saskatchewan’s north are used exclusively to generate clean electricity in nuclear power plants around the world. Cigar Lake is the world's second largest high-grade uranium deposit, with grades that are 100 times the world average. The mine began operation in 2014, and is one of our three material properties. As expected, now at full production, the operation is producing 18 million lbs (100% basis) of uranium annually. Our share is 9 million lbs. Cameco's environmental monitoring results and significant incident reports listed on cameco.com are reported to federal and provincial regulatory agencies. McArthur River is the world's largest high-grade uranium mine. Ore grades within the deposit are 100 times the world average. 80 kms southwest, Key Lake remains the world's largest high-grade uranium mill. Together, since 2000, these two operations have produced more than 535 million pounds of uranium concentrates. in July 2018, Cameco made the decision to extend a planned 10-month production suspension for an indeterminate duration. during care and maintainence, at any given time, the McArthur River/Key Lake operations employ about 50 to 70 people at each site to ensure that all safety, health, environmental and quality programs are maintained. In the second quarter of 2016, due to weak market conditions, Cameco's Rabbit Lake facility was transitioned into care and maintenance. The Rabbit Lake operation, which opened in 1975, is the longest operating uranium facility in North America and the second largest uranium mill in the world. All ore in recent years came from the Eagle Point underground mine. It is 100% owned by Cameco and has produced more than 203 million pounds of uranium concentrates since opening. Millennium Project is a proposed uranium mine in northern Saskatchewan. The 590 hectare claim, which was designated as a separate project under the Cree Extension Joint Venture, the Millennium deposit is located in the south-eastern portion of the Athabasca Basin, approximately 35 km north of Cameco's Key Lake operation. Since its discovery, Cameco has continued to explore the deposit, conducted feasibility studies, and commenced environmental assessments and community consultations. Our studies indicate the deposit is smaller than Cigar Lake and is located roughly 600 meters below surface. No work is planned at Millennium. Further progress towards a development decision is not expected until market conditions improve. Our exploration program is directed at replacing mineral reserves as they are depleted by our production, and is key to sustaining our business. However, during this period of weak uranium prices, and as we have ample idled production capacity, we have reduced our spending to focus only on exploration near our existing operations where we have established infrastructure and capacity to expand. We believe that we have some of the best undeveloped uranium projects in the world. In northern Saskatchewan alone, we have direct interests in 640,000 hectares (1.6 million acres) of land covering many of the most prospective exploration areas of the Athabasca Basin. We will continue to focus on our core projects in Saskatchewan under our long-term exploration strategy. Long-term, we look for properties that meet our investment criteria, we may partner with other companies through strategic alliances, equity holdings and traditional joint venture arrangements. Our leadership position and industry expertise in both exploration and corporate social responsibility make us a partner of choice. Our northern Saskatchewan uranium mining and milling operations are licensed by the Canadian Nuclear Safety Commission (CNSC) in accordance with the federal Nuclear Safety and Control Act and regulations. Our operations are also subject to provincial laws and regulations for the protection of workers and the environment. CNSC staff conducts regular site inspections and audits to verify that people and the environment are protected.